Located in San Leandro, California, the Law Office of Chow & Losinski can offer you guidance in your legal rights and options. We practice family and criminal law and are experienced in cases involving divorce, child custody, spousal support, division of property, personal injury, and more. In addition to being members of the California State Bar, we both are active members of the Alameda County Bar Association and are licensed to practice in the United States Federal Court for the Northern District of California and the Federal Ninth Circuit Court of Appeals. We are a husband and wife firm with a strong focus on the practice of family law matters. With a combined experience of over 30 years, both of us are fierce, tenacious and staunch defenders of our clients’ rights. We provide clients with quality and passionate representation and pride ourselves on relentless advocacy for every one of our clients. The experience and knowledge we bring to the table benefit our clients in every aspect of their case. The Law Office of Chow & Losinski operate with a high level of integrity to ensure that our clients receive the representation they deserve and expect. As parents of three minor children, we understand and are aware of the importance of infusing respect, integrity and compassion in divorce and custody disputes, without compromising our clients’ legal rights. We also provide mediation for divorcing couples and assist them in finding solutions that meet their needs and the needs of their children, without costly litigation. Dorothy K. Chow-Losinski received her Bachelor’s Degree from San Francisco State University with a Bachelor of Arts in Social Science and a minor in Criminal Justice. 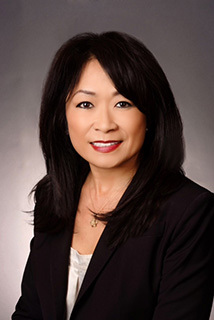 Ms. Chow-Losinski subsequently attended John F. Kennedy School of Law where she received her Juris Doctorate prior to passing the California Bar Examination. 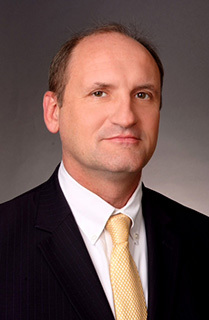 Matthew T. Losinski received his Bachelor’s Degree from the University of Michigan with a double major in Russian and East European Studies and Political Science. Subsequently, Mr. Losinski attended Golden Gate Law School where he received his Juris Doctorate prior to passing the California Bar Examination.